Our qualifying law degree, Law with Criminology LLB(Hons) develops your understanding of the principles of law and which addresses specialist topics including crime theory and the criminal justice system. Taken over three years, or four years with an optional salaried placement, core learning provides practical skills in presentation, negotiation, oration, mooting and advocacy and develops an understanding of the English legal system. As you progress, option modules provide opportunities to tailor your learning. Learning is delivered through a stimulating mix of seminars, guest lectures, skills sessions and workshops. Extracurricular activities, such as industry-sponsored mooting and client interviewing competitions and pro bono work, allow you to further develop practical skills in problem-solving, critical analysis and communication. This degree is currently recognised by the Solicitors Regulation Authority (SRA) and the Bar Standards Board. It is a qualifying law degree, which means that Law LLB(Hons) graduates will have completed the academic stage of training for entry into the legal profession. The SRA have announced that they are introducing a new qualifying exam – the Solicitors Qualification Exam (SQE) – which will take the place of the existing Legal Practice Course. There's more information on this change in the Solicitors Qualification Exam section below. This course is one of three LLB pathways offered by Brighton Business School, alongside Law LLB(Hons) and Law with Business LLB(Hons). The advantage of studying law at Brighton is that they give you the option to combine it with business and a business placement. This enabled me to take a year to focus on being in the workplace on placement. 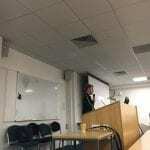 After this, I came back for my final year feeling much more engaged with the topics. Our law degrees share the same first year modules, introducing you to the different aspects of law, such as legal research skills and courtroom procedures. Public law is a subject of great topical interest, which is in a constant process of evolution and cannot be fully understood without reference to the UK’s political history and its social and cultural development. This module will provide you with a good understanding of constitutional legal principles, the major features of the UK’s constitution, civil rights, judicial review and an awareness of significant changes and developments in the subject. This module introduces you to the main institutions and agencies constituting the Criminal Justice System in England and Wales. You'll explore some of the key debates and theories in relation to crime, justice and punishment, and gain a grounding in the history and development of criminology as a discrete discipline, and an understanding of how this fits within the wider study of law and justice. This module will provide you with the underpinning skills and strategies required to study law successfully at undergraduate level as well as developing attributes that contribute to employability. You'll develop skills essential for the study of law and for professional practice through the development of presentation and communication skills, both oral and written. You will be prepared for the employment process, including preparation for law vacation schemes, placements and subsequent employment. introduction to current legal issues. You will be equipped with knowledge and intellectual skills essential to other area of academic development. This module will provide you with a detailed knowledge of a number of torts including common law negligence, breach of statutory duty, protection against interference with the person, protection of property interests, protection of reputation and remedies associated with these torts. Where relevant, reference will be made to policy issues and human rights principles – both of which impact on the development of a number of torts. This module will provide you with the opportunity to simulate in as near a ‘real world’ scenario as possible, the financial and management accounting implications of setting up a new business. From your second year you will be able to choose from law and criminology options such as crime control, cross-cultural criminology, employee relations and commercial law. All Criminology modules will be taught at our Falmer campus. You may also have the opportunity to take part in national mooting competitions and take advantage of work shadowing opportunities, which could include showing judges and law firm partners. The year's paid work placement is a vital part of the course. It gives you the chance to apply your learning to real-life situations and challenges, to meet and network with potential employers, and have opportunities to get real work experience before you graduate. This is something that employers value highly. On your placement, you will complete a business project. This project contributes to your degree and, depending on the topic you choose, could provide valuable insight for your placement employer. Our LLB students have completed placements at the Home Office, House of Lords, Acumen Business Law, Alfred James & Co Solicitors, Devonshires Solicitors and Gaby Hardwicke Solicitors. It is also possible to undertake a placement year abroad. Our dedicated placements and employability team will support you throughout. Read more about our placement years. In your final year, core modules further deepen your knowledge and understanding. You will also be able to tailor the course to the subjects you are most interested in through option modules. The Student Law Society is a thriving community of over 150 law students. With support from the Students’ Union, it organises an exciting schedule of social and educational events. Members have recently enjoyed visits to Lewes Crown Court, Brighton Magistrates Court and the Houses of Parliament. Social events have variously involved paintballing, go-karting, surfing, a Christmas Ball at the Brighton Hilton Metropole, and a trip with law students from other universities to Amsterdam. Through initiatives such as these, the society provides excellent opportunities for personal development and for networking with other students interested in a career in law. 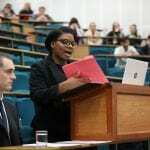 The Mooting Society has a fast-growing membership of over 120 students. The society provides workshops, guest speakers, socials, trips and competitions to help build members' confidence and adversarial skills that are increasingly essential in any career path in the legal sector. The objective of the mooting competitions is to develop the research and advocacy skills of future practitioners. Students argue both sides of a fictitious legal case in a court room setting in front of a panel of judges. 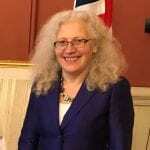 Marie-Benedicte Dembour, Professor of Law and Anthropology at the Brighton Business School, has won a prestigious European Council (ERC) funding award worth €2. By Law LLB students, Anna Davis and Ranya Alshaiba The Annual Sussex v Brighton Mooting Challenge was held at Brighton University’s Huxley Building on the 26thNovember, sponsored by Howlett Clarke. George Stead, Associate, Commercial Lawyer at Teacher Stern LLP graduated from Brighton Business School with a first in Law in Business LLB(Hons) in 2014. Our Law LLB students were recently joined by Leon Deakin of Coffin Mew LLP for their second client interviewing workshop. The combination of law and criminology allows you to continue your legal training to qualify as a solicitor or barrister or to pursue alternative graduate opportunities both in private and public sector organisations. As this is a qualifying law degree, you will be able to progress directly to the vocational stage of training: the Legal Practice Course if you want to become a solicitor or the Bar Professional Training Course if you want to become a barrister. The criminology focus provides an ideal basis for graduates who wish to develop careers in areas such as probation, policing, the prison service, youth work, voluntary organisations and government. The university is part of the CLOCK Time for Justice scheme. 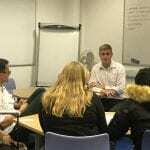 Students volunteer in the Brighton Family and County courts and assist litigants in person by accompanying them into hearings; helping them to fill in court forms and signposting to our legal and charitable partners. As well as enabling you to gain unique court experience, you will develop essential skills through assisting clients on many issues and build on links with local law firms. Negotiation is a key lawyer skill – many legal disputes do not end up in the courts, but instead are resolved by some form of negotiated agreement. Our negotiation programme is an opportunity to prepare for a negotiation, and to apply and practise your negotiation skills. The programme is sponsored by solicitors’ firms who judge the final competition and the top teams go on to represent the University of Brighton at the national negotiation competition sponsored by the Centre for Effective Dispute Resolution. internal competition, sponsored by a local law firm, and the winning students proceed to represent the university in the national Law Society competition. In 2016 two of our Law with Business students, Fionnuala Richardson and Chloe Chatton, won the national competition and went on to represent England and Wales in the international competition, finishing third in the world. Our University of Brighton Innocence Programme offers the opportunity to advise and investigate issues of potential wrongful criminal convictions. Students participate in real-life casework supervised by academics and working with practising lawyers, providing pro bono assistance to prisoners who maintain their innocence and have exhausted their appeal rights. They will also support you throughout your placement and act as referees if you are offered a permanent role, or wish to continue to a masters. We are one of the first UK universities to use JobTeaser, a new online placements system presenting placement options in the UK and Europe. It gathers together all the job opportunities, events, and resources you need to help you with your professional development. Our careers service provides help and advice from the very start of your studies, on subjects including careers counselling sessions, CV checking, mock interviews and advice on settingup your own business. f you decide that you would like to go onto postgraduate study, we offer a 10% discount to alumni. The SRA will be providing information and guidance about how to qualify in the new system so keep checking the SRA website. At the moment, to become a solicitor you need to complete a qualifying law degree (or another degree followed by a Law Common Professional Examination/Postgraduate Diploma in Law) moving on to do the Legal Practice Course (LPC), and then a two-year period of recognised training, usually called a training contract. The new proposal is that the SQE will consist of two parts; part one assessing legal knowledge, research and writing and the second part testing practical skills gained after completing a recognised period of training. The SRA have confirmed that the SQE will not be in place until 2020 and have proposed that students who begin a qualifying law degree before 2020 will be able to use the old route to qualification. We’re reviewing the curriculum of our qualifying law courses and will make changes as necessary to provide an integrated approach to preparing students for the SQE. Entry requirements are in the range of A-level BBB–CCC (120–96 UCAS Tariff points), or BTEC Extended Diploma DDM–MMM. Our conditional offers typically fall within this range. 30 points including 16 at Higher level. Pass with 60 credits overall. Units in law, business or humanities required. At least 45 credits at level 3, with 24 credits at merit or above. May enable you to start the course in year 2. Relevant subjects required. HNC may also count towards direct entry. IELTS 6.0, with 6.0 in writing and a minimum of 5.5 in the other elements. I spent a year in Preston Park in Brighton working for a private practice law firm as a legal assistant... It seems to work out that people who do work placements get higher results in the final year. "I graduated from Brighton with a first class honours degree (LLB) in Law with Business in 2008. "Following my degree, I took the LPC at the College of Law and an LLM in Financial Law and the Regulation of Financial Markets at the London School of Economics (LSE). I joined Clifford Chance as a trainee solicitor in February 2012. "I enjoyed studying a wide range of legal subjects while at Brighton. The law department has experienced academic lectures (many of whom are qualified solicitors or barristers, accomplished academics or both) who deliver comprehensive and challenging courses. The course was assessed in a variety of ways, from traditional coursework and examination to assessed mooting (mock legal arguments in court) and presentations. I felt well prepared for further academic study at the LSE. "The requirement to produce written coursework on a regular basis greatly improved my ability to analyse legal problems and produce clear, logical and well-researched essays. The detailed feedback provided by the academic staff enabled me to further develop my writing skills which are vitally important in my role as a trainee solicitor. "In an increasingly competitive graduate job market, having a first class degree from Brighton opened the door to interviews at a number of the UK’s top 20 law firms and offers of further study from leading universities around the world. "More generally, Brighton is a fantastic city with a wide range of social and sporting events. I would certainly recommend it as a place to study!" Find out about the opportunities open to law students at Brighton, subscribe to our Law blog.